Please contact Yael (greentreeyoga@comcast.net) if you need a discounted price or if you have a question about attending both session. Please check on availability for “Refresher”. Thanks! Utah NASW Home Study CEs Click Here. PLEASE make sure when you register that I have a current email to send you workshop information. Listen to refugee women community leaders who are taking yoga breaks back to their communities. You may be inspired to learn trauma-sensitive yoga too. Do you want to reconnect with the reasons you went into your helping profession? Do you want to help your staff or coworkers address issues of vicarious trauma? All sizes, shapes, and abilities can do this yoga. Taught by certified, experienced teachers and clinicians who work in the field. Incorporates trauma-sensitive yoga as a healing tool in your work and personal life. Addresses the cumulative impact of vicarious trauma. Provides overview of current science, writings, and applications in the field. Take in convenient and affordable modules. Appropriate for clinicians, educators, healthcare providers, yoga teachers, and anyone interested in learning more practical skills for self-care and healing trauma. CE credits will be available for clinicians (NASW), therapists, school teachers (USOE licensure), yoga teachers (RYT Yoga Alliance recertification) for some or all of the modules. Expand for Trauma-sensitive Yoga Certification* (55- hour: see below) Includes both April and May workshops. Payment info at bottom of page. Contact Yael at greentreeyoga@comcast.net or 801 -656-7885. 8 NASW CES and YA Recertification CEs. 8 NASW Home Study CEs also available. Why 2 parts? We have changed the format from a one-day retreat to two afternoons by request. People like to have time to absorb the new information, then practice and come back for more information, review, and discussion. Part 2 builds on Part 1 -- both are of benefit to clinicians, yoga teachers, and anyone trying to heal trauma. Part 2: Focus - Builds on Part 1. Experiential practice, HOW to teach/share TS Yoga in various settings, including studios, community classes, clinical settings. Each session provides information and free tools for clinicians and yoga teachers. Please note: April and May workshops cancelled. Look for Pain Management Workshop on Friday May 10th! Please contact Yael (greentreeyoga@comcast.net) if you need a discounted price or if you have a question about attending both session. Please contact Yael with any questions about fee payment. If you need a different fee, please ask! 4 NASW or YA renewal CEs for EACH day. You must take part 1 before you can take part 2. questions? Please Yael if you have any concerns/considerations about payment. Notes on CEs: NASW CEs and YA relicensure hours. Pay by credit card, check (contact Yael) or Paypal. 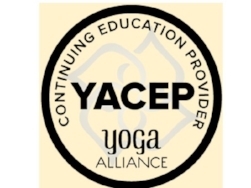 Yael Calhoun, MA, MS, E-RYT is a long time educator and author, with a strong background in education and teaching yoga as a tool to address trauma, stress, depression, anxiety and compassion fatigue. She is a writer/series editor of over a dozen books and continues to develop books, DVDs/CDs, and trainings manuals on yoga, including yoga for trauma, autism, children, seniors, caregivers, classrooms, and cancer survivors. Currently, Yael is the co-founder and Executive Director of GreenTREE Yoga, a 501c3 nonprofit charity, dedicated to bringing the benefits of yoga to people of all ages and abilities in a variety of settings, including: schools, prisons, community organizations/groups, substance abuse recovery centers, senior centers, and caregiving. 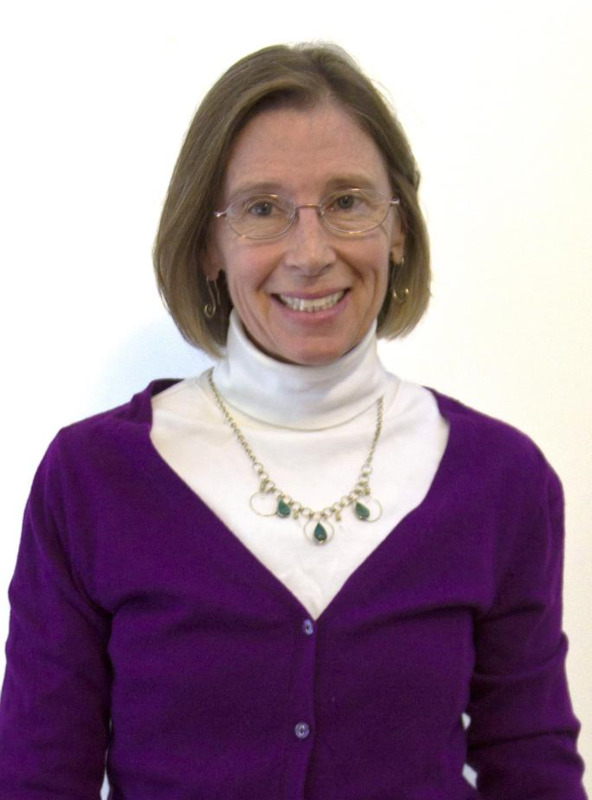 She has developed professional development trainings for CE credits for clinicians, psychologists, and nurses. Her current project is developing a training guide for people who work with refugee populations. (E-RYT) through Yoga Alliance and is certified in Trauma-Sensitive Yoga (The Trauma Center at the Justice Resource Institute). Yael devotes most of her teaching time to trauma-sensitive yoga classes, both with children and adults at the Salt Lake VA, where she has developed a program for PTSD and MST. The program will expand this year from four classes to six classes, including a telehealth program for six community-based VA facilities in Utah and Idaho. She finds yoga to be a powerful healing tool for people trying to feel more comfortable in their bodies and to feel their bodies are a safe place to be. Leaders in the field of treating trauma and PTSD believe that the body-based modality of a trauma-sensitive yoga program can provide healing tools through simple stretching exercises and mindfulness breathing for stress and trauma. There is a robust body of evidence that body-based modalities, such as trauma-sensitive yoga and mindfulness, including Dr. Bessel van der Kolk’s 2014 study, can offer trauma survivors a way to learn to feel safe in their own bodies and a way to regulate their core arousal systems. Why would you want to teach your yoga classes in a trauma-sensitive way? (and power yoga can be trauma-sensitive too!) Learn to teach all ages and abilities in a trauma-sensitive way. Chances are people in your classes have experienced or will experience some degree of trauma. Yoga can help people heal, reconnect to their bodies, rewire their brains and become more resilient. Consider: Nearly one in four women in the United States reports experiencing violence by a current or former spouse or boyfriend at some point in her life. Women are 84 percent of spouse abuse victims and 86 percent of victims of abuse at the hands of a boyfriend or girlfriend and about three-fourths of the persons who commit family violence are male. (click here for more information) And of course, many people, male and female, suffer from PTSD. Learn how and why to make ANY yoga class more trauma-sensitive. develops training kits and materials on yoga and trauma. key books for your personal library. 2. Observations (10 hours): Observe 10 hours of yoga classes to learn was is and is not trauma-sensitive yoga. Guided observation sheets. 3. Volunteer teaching (10 hours): We will find you a volunteer placement that provides support for you and allows you to develop the skills you need to share your yoga.